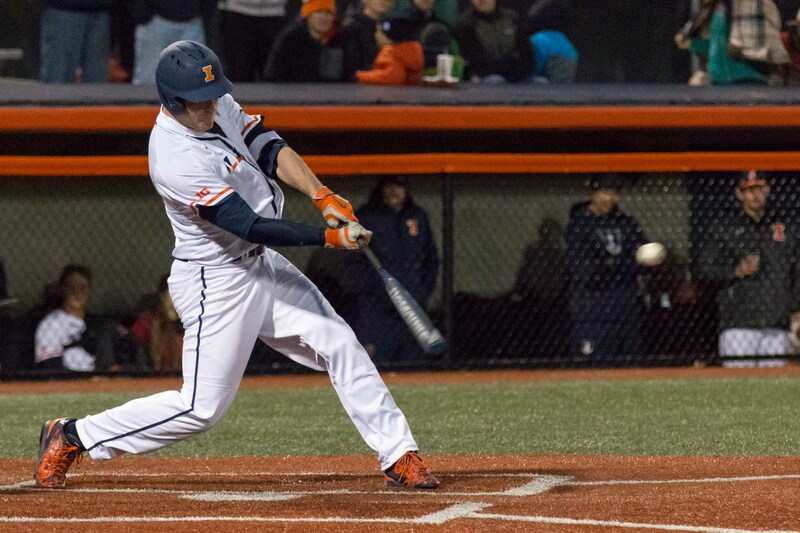 Illinois' Pat McInerney singles against Eastern Illinois on Tuesday, April 5. The senior had a double and drew a walk against Bradley. 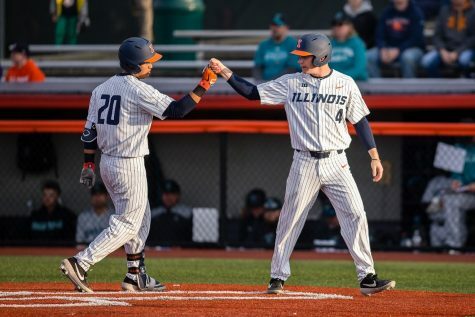 Prior to spring break, Illinois baseball head coach Dan Hartleb said that he and his team were excited to play their first home games of the season. 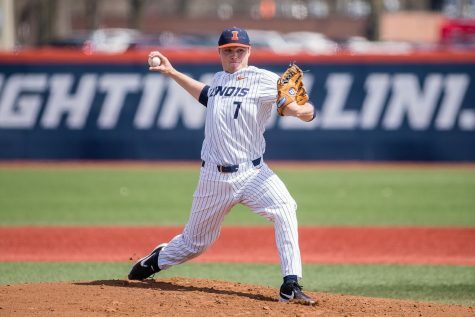 Hartleb went on to say that he thought the familiar surroundings and having the home fans behind them would provide the Illini with a boost. 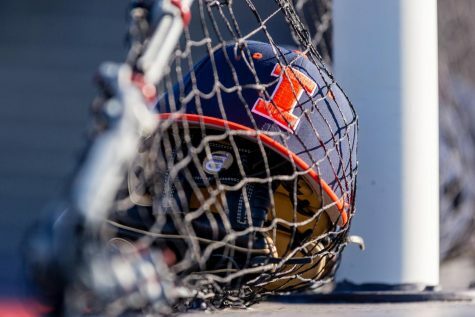 But, through eight games at Illinois field, the Illini are 2-6. 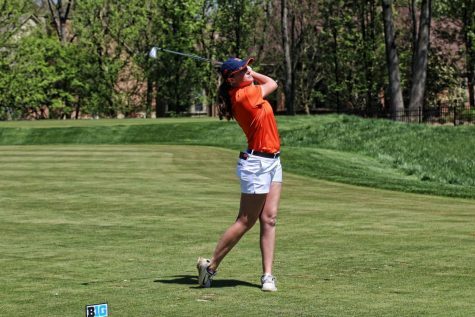 Though the team was excited heading into the break, the Illini have had the same issues this season. In the seven games played, the pitching staff has allowed 51 runs and just over seven per game, which is about what the group has averaged so far. Additionally, the offense has only scored roughly six runs per game. Together, that has lead the Illini to be outscored 152-116 through 20 games. However, despite the early struggles, the Illini still have time to turn this homestand around. They have four more games at home, enough to get back to .500 on the stand before leaving for their next road game. The offense has been inconsistent at times, but all season, the offensive leaders have continued to contribute. This stand has been no different. 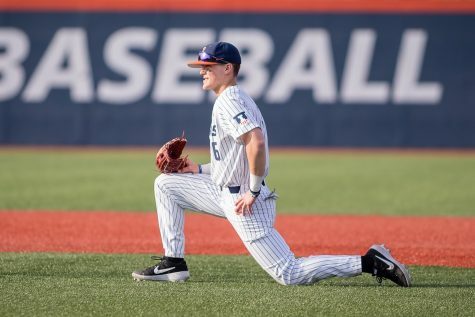 Sophomore outfielder Jack Yalowitz has continued his hot start, despite struggling in the last couple of games. The team’s leading hitter racked up eight hits through the first seven games, pushing his season batting average to .359. 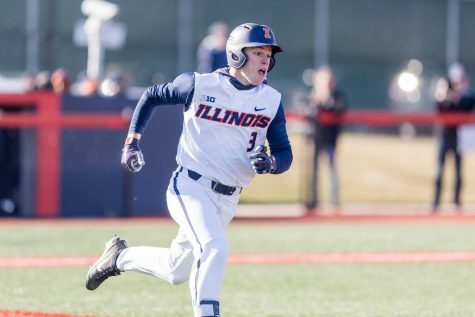 Yalowitz also hit his third and fourth home runs of the season in back-to-back games against Toledo and Southern Illinois University Carbondale, respectively. This helped him to chip in 11 RBIs so far in this stand, good for half his overall total of 22 on the season. Senior first basemen Pat McInerney also had a strong week at the plate. 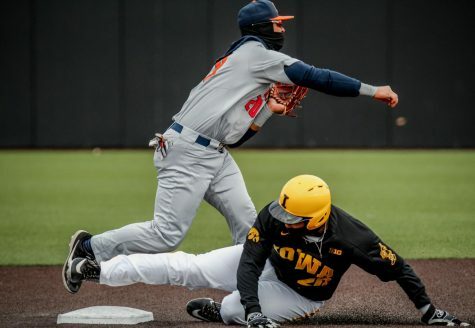 He’s added four home runs, pushing him to seven on the season, including a two-home run game against Michigan State in Illinois’ first Big Ten game of the season. 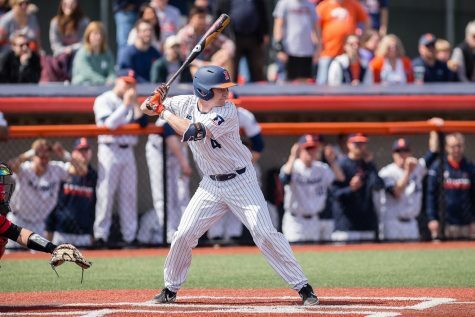 McInerney has also collected nine hits so far during the stretch, which has brought his batting average to .321 on the season — good for second on the team. He has yet to make an error this season, sporting a .1000 fielding percentage. Other notable performances came from Casey Dodge who collected eight hits and three RBIs. Doran Turchin also added seven hits in just six games. 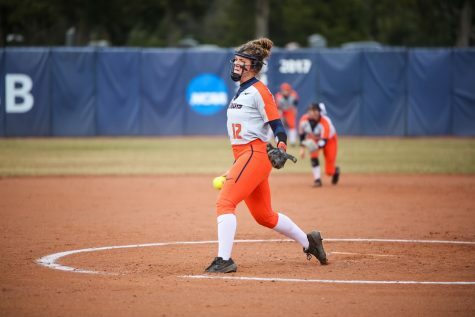 Pitching has continued to be the big issue for the Illini. Hartleb has said that the biggest issues for the staff has been getting behind in counts and giving up free bases. That continued this weekend, but there were some bright spots for the group as well. 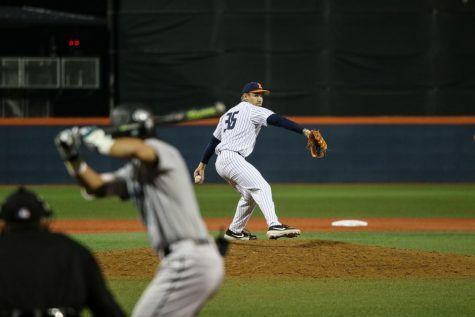 Sophomore right-hander Luke Shilling has quietly put together back-to-back solid outings. Command has still been a big issue for him, walking no less than five batters in any of his starts, but in the past two games, he has combined to throw 11 innings while allowing just three earned runs and only five hits. 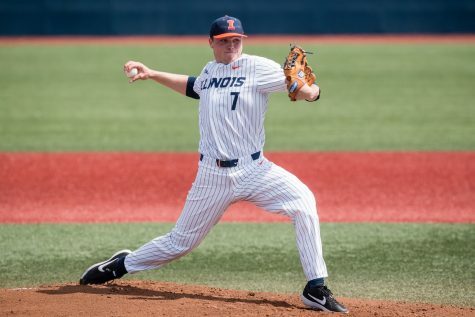 He also threw five innings of no-hit ball in Illinois’ matchup with Coastal Carolina on March 11. Freshman pitcher Cyrillo Watson has also had an impressive last few games. The reliever has appeared in three of the seven outings, combining to throw five innings and allowing no runs. Also notable was Quinten Sefcik, who has appeared in four games so far. 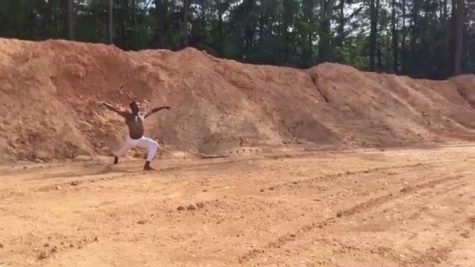 He’s combined to throw 7 2/3 innings, giving up just four earned runs and walking two batters. 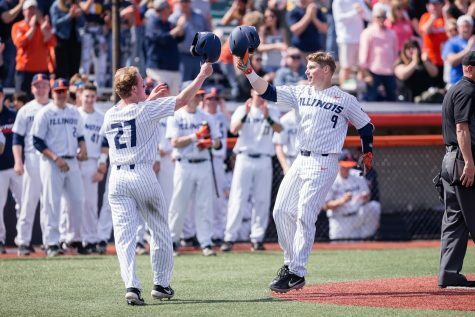 With four games left in the homestand, the Illini will look to bring their home record back up to .500 on the season. 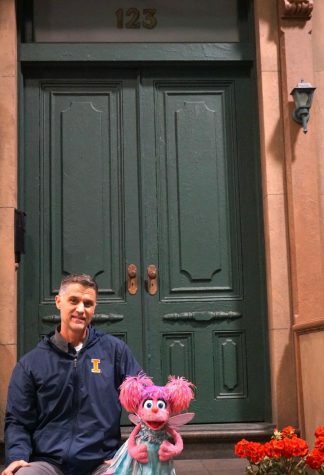 They will play one more game with Bradley and a three-game series with Indiana State before heading to a neutral site to take on Missouri for the annual Braggin’ Rights game.